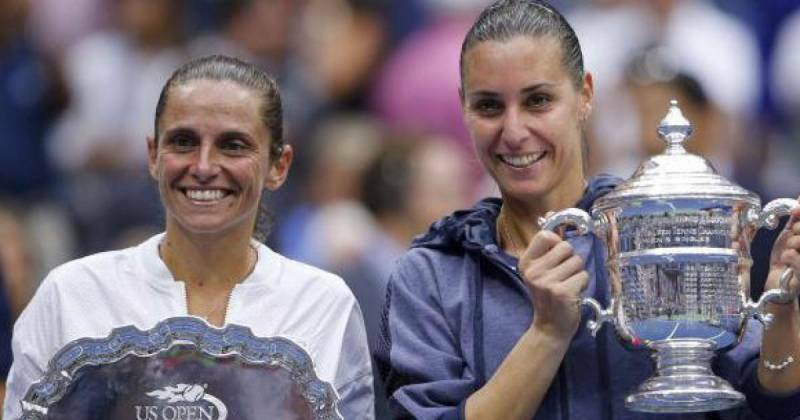 Flavia Pennetta and Roberta Vinci are two professional athletes. They make their living playing tennis for financial reward. Yet, what I most perceived from their performance during their epic victories in the US Open women’s single semifinals, especially the one won by Roberta against #1 tennis queen mother Serena Williams, were elements that you would normally find in athletes who compete in the Olympic Games: dreams, passion, joy, sportsmanship, fairplay. I also attended the final match that was won by Flavia fairly and squarely against Roberta. What I sensed was not the same excitement I felt during their respective battles in the semifinals. I was excited indeed, but it was more a contentment, a pride that they were there not just to win their matches for themselves but also for us, the Italians and Italy. I believe that their extraordinary game performance and subsequent remarks to the interviewers at the conclusion of their semifinal victories and the final match was such a welcome surprise that endeared them to a world wide audience who will retain in their mind, for a very long time, the images of Roberta and Flavia speaking those simple but genuine words of thanks to all, their smiles, tears and sisterly hugs to each other. Certainly not the image of the stereotypes that some held about Italians. Over the years I attended several women’s finals at the US Open. Never have I seen the kind of reaction from the spectators that was given to Roberta and Flavia during and after their matches. Yes, applause, cheers, but this time the applause and the cheers had a color and a tonality that betrayed affection and kinship. Like the public does at the end of Olympic matches regardless of what country the winning athletes are from.